This post is sponsored by The Eczema Company. 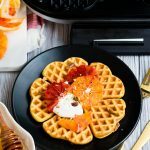 I want to take a brief pause from my regular breakfast and brunch recipes to do a roundup on eczema-friendly recipes. These have been near and dear to me the past couple of years because my toddler struggles with eczema. It has been a long journey so far in learning how to treat, manage, and heal it. We regularly see doctors and specialists, read books and medical articles, speak to parents in the same situation, and linger in just about every online baby forum to pick up tips and tricks. While we take a very holistic approach to treat his eczema, one of the most impactful changes we made to our daily lives is to start following an eczema friendly diet. Is Eczema and Diet Related? I asked this question to everyone during my baby’s first two years: is eczema and diet related? From our experience, the answer is a resounding YES! But this is a tricky question because you will get slightly different answers depending on who you ask. We’ve been told conflicting information even by medical professionals too (frustrating, yes). According to our GP, eczema and diet are not related. But she referred us to a nutritionist who said that certain foods can trigger eczema. Our first dermatologist dismissed the question entirely. Then we found sort of a middle ground when one allergist gave us the nuanced explanation that allergies and eczema are like cousins (i.e., distantly related). But what I do know is that when we avoid certain foods and increase intake of other foods, our son’s eczema clears up and stays clear. 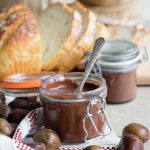 What foods are good for healing eczema? The eczema-safe foods supply nutrients to help decrease inflammation and promote skin repair and maintenance. And by avoiding foods that cause eczema, you aren’t placing your body in a position that it reacts with an eczema flair up. Eczema, at the end of the day, is an immuno-related condition, so the idea is to maintain an overall healthy nutrient intake. There’s so much good information in the book that I can’t possibly describe it all to you in detail here, so if this piques your interest, I really encourage you to read it yourself. What foods should you not eat when you have eczema? 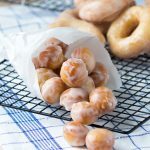 As such, the recipes on this list are either all free from these ingredients, or I’ve noted how they can be adjusted so they don’t contain any of these Dirty Dozen ingredients. Again, this is just the diet we’ve tried and subscribe to. 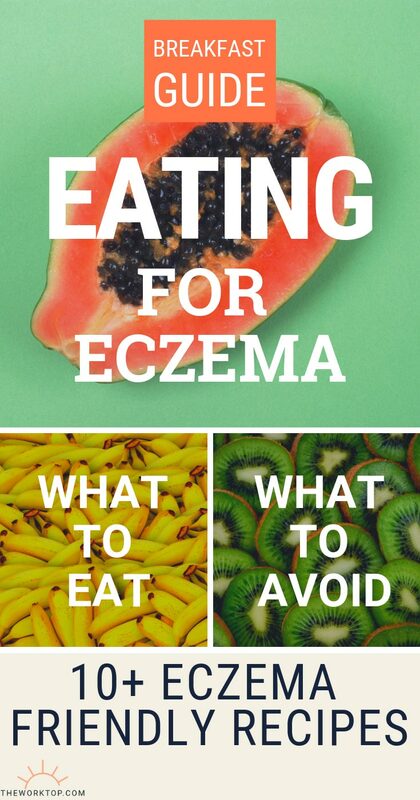 If you do a search for “foods to avoid if you have eczema” you’ll come across many variations although a few of the food types will overlap (typically the ones that are common food allergens). 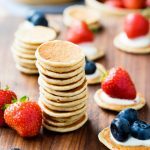 With these general guidelines, I’ve teamed up with The Eczema Company to put together a list of eczema friendly breakfast recipes. 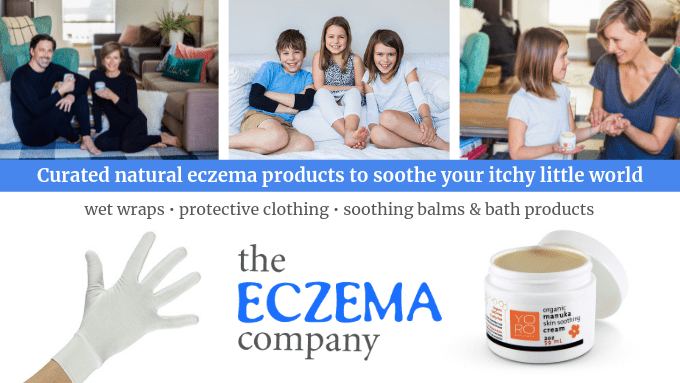 If you suffer from Eczema, The Eczema Company will have something to help you. The first time I came across the website, spent a couple hours making a list of everything I wanted to try to give my little one’s some relief from his eczema. The Eczema Skincare Kit Starter Bundle is a great place to start. But they sell other curated natural products to help soothe your eczema. I know I sometimes struggle with finding enough variety in the recipes that I cook for my son at home. 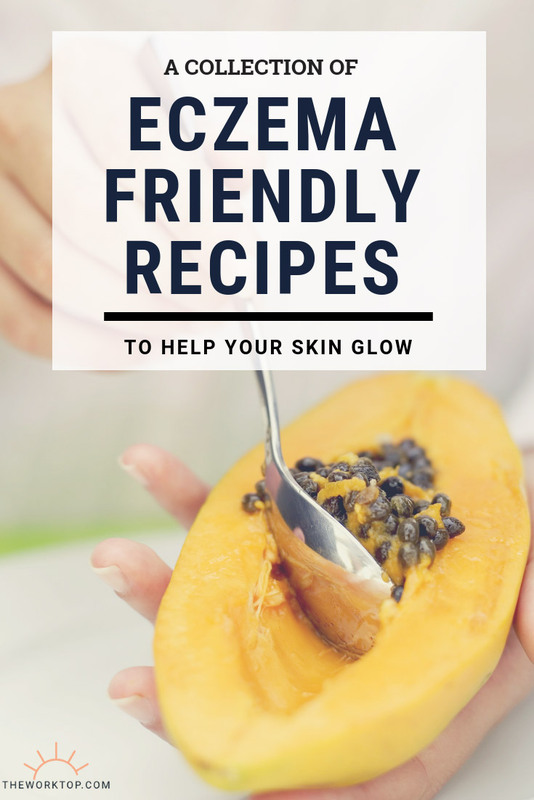 So I’m really excited to be sharing these eczema friendly recipes with you. For those already familiar with The Eczema Diet, I’ve noted below each recipe whether it fits Stage 1 or 2. And if the recipe doesn’t strictly fit The Eczema Diet, I’ve noted how you can tailor it. The most basic part of this recipe is chicken thigh, brown rice, and water (pardon the egg in the picture!). To make it even more healing for eczema, replace the water with bone broth to get more healing glycine, collagen and calcium in your diet. 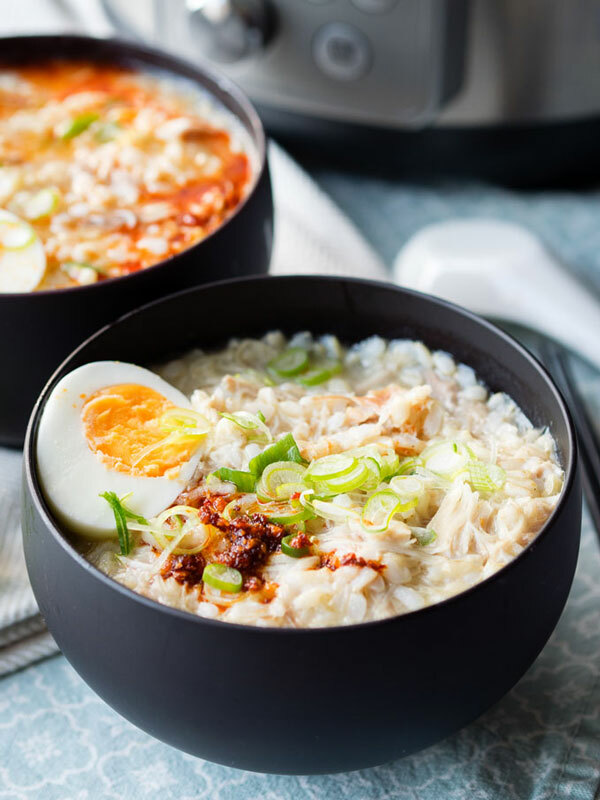 Enjoy this Instant Pot Congee without toppings, or you can add on some spring onions. Spring onions contain histamine-lowering, anti-inflammatory quercetin. Eaten plain with just spring onions, this recipe is great for The Eczema Diet Stage 1. 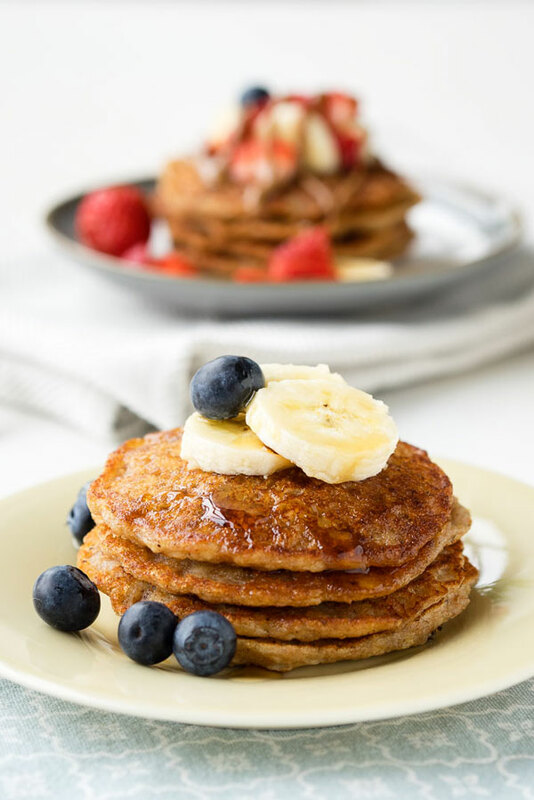 Vegan Banana Pancakes are made primarily with bananas, oats, spelt flour and oat milk. Bananas are an eczema friendly fruit because they are high in potassium, making them alkalizing. 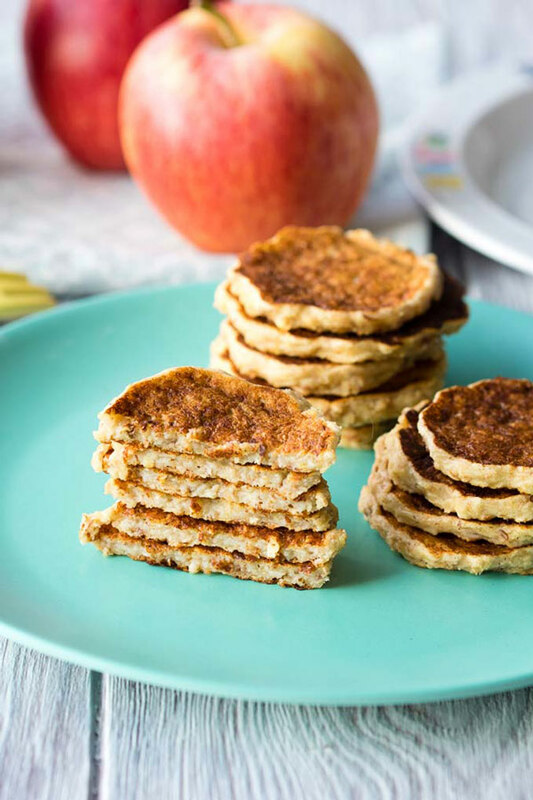 My toddler eats these pancakes as finger food snacks, even without maple syrup. Sometimes we will top extra bananas on it to give it more sweetness. 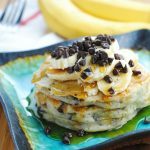 Bananas is also one of the few fruits you can eat on The Eczema Diet Stage 1, and spelt flour, oats and oat milk are also all permitted. To make this recipe fully compliant with The Eczema Diet Stage 1, swap out the coconut oil for rice bran oil and leave out the cinnamon and vanilla. Photo by Little Sunny Kitchen. 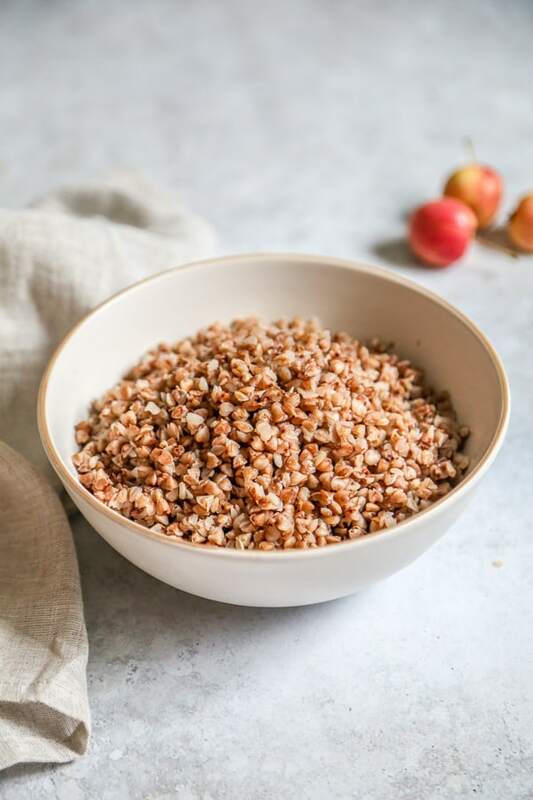 Buckwheat is a gluten-free grain that is gentle on the digestive tract. 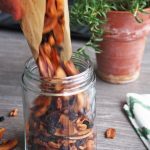 It’s also rich in the antioxidant flavonoids quercetin, which has been found to have anti-inflammatory effects. 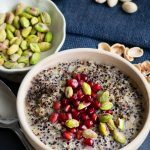 Here’s a detailed post on How to Cook Buckwheat Porridge by Little Sunny Kitchen. If you are following Stage 1 of the Eczema Diet, just leave out the butter in the recipe. 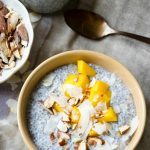 Savory Oatmeal with Bone Broth is one of the most frequent breakfast we eat in the colder winter months. It’s a very simple recipe because it just requires cooking oatmeal in bone broth. To get rid of as much phytate acid (it inhibits absorption of minerals, calcium, and other nutrients) as possible, I always soak the oats overnight and discard as much of the soaking water as possible before before cooking. If you are following Stage 1 of The Eczema Diet, acceptable toppings include mixing in some green onions, grated carrots, shredded Brussels sprouts and /or mung bean sprouts. If you are on Stage 2 of The Eczema Diet, feel free to add on the egg, as in the picture. Photo by Know Your Produce. Both beets and sweet potatoes are great foods for healing eczema. 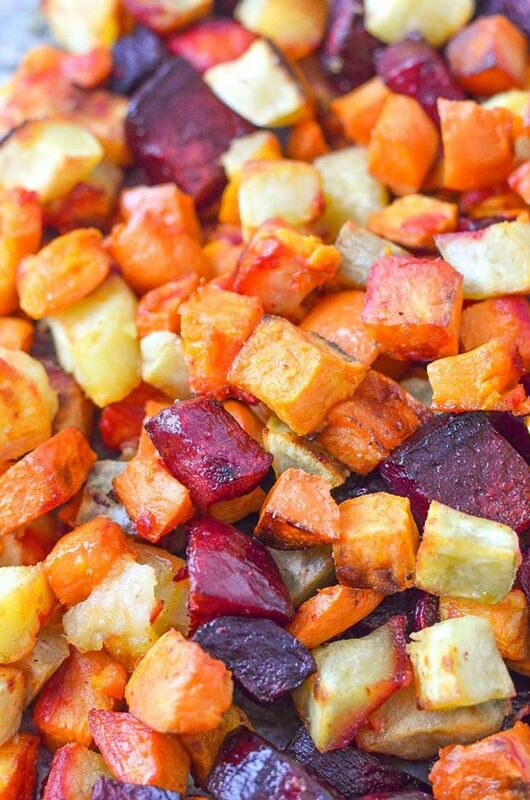 You can make this Roasted Beets and Sweet Potatoes by Know Your Produce in place of traditional breakfast potatoes. Sweet Potatoes contain alkalizing potassium, the antioxidant beta-carotene, calcium, magnesium and histamine-lowering vitamin C.
Beets also have strong alkalizing properties, and is rich in antioxidants, folic acid and iron. To make this recipe suitable for The Eczema Diet Stage 1, leave out the onion powder and use rice bran oil. Add in some spring onions or shallots instead. I developed this Free From Pancakes for Babies and Toddlers specifically for my little one who suffers from eczema. It’s made without dairy or egg, both of which are in the Dirty Dozen. This recipe is not suitable for The Eczema Diet Stage 1, as it contains apples. But it’s good for eczema because it contains flaxseeds, oats and oat milk. Make sure you use spelt flour for the pancakes too. Photo by Whole New Mom. 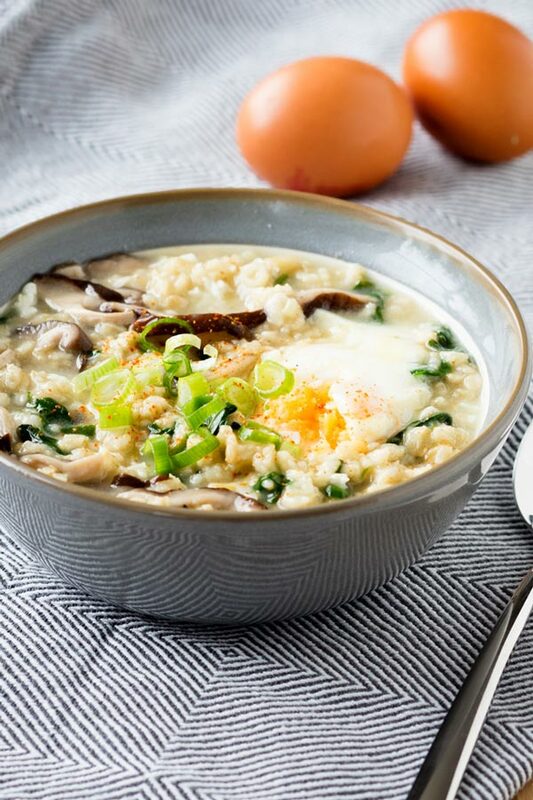 This is a really clever Cream of Rice Porridge by Whole New Mom. Blitz brown rice in a blender or coffee grinder, and once you start cooking it, it’s done in less than 4 minutes. 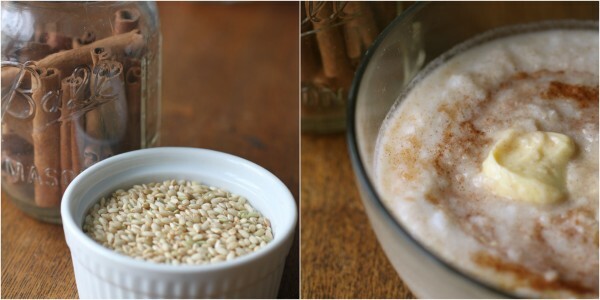 To make this eczema healing, cook this Cream of Rice Porridge with bone broth. 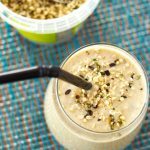 When you make this recipe with brown rice, it’s suitable for The Eczema Diet Stage 1. Here are a few other dishes that we have found on our journey to find eczema friendly recipes. 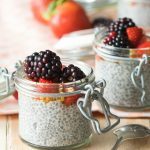 These recipes are suitable for The Eczema Diet Stage 2 and may contain eggs or pure organic butter. Sugar Free Instant Pot Pear and Applesauce – Use golden delicious or red delicious apples, and pure organic butter. Roasted Maple Apple Brussels Sprouts – Use golden delicious or red delicious apples, pure organic butter, and rice bran oil. 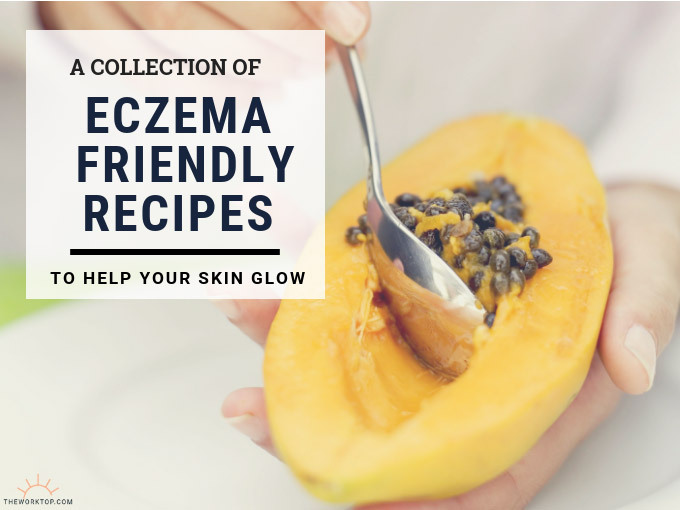 I really hope you enjoy this collection of Eczema Friendly Recipes. As always, consult with your doctor or nutritionist if you have any questions. Great post, you have pointed out some wonderful points. This is a very fantastic website. When I was a child I suffered very badly from Eczema and the allergy specialist also recommended staying away from dairy, citrus and egg. However, when I grew older I realised that those foods didn’t actually trigger my eczema at all. I was more allergic to dust and pollen and the reaction showed on my face. The other eczema on my extremities was usually worse when I came into contact with grass or played in any sand. As a teen I discovered I also had allergic reactions to some detergents and shampoos and that caused a similar reddening and itching as the eczema. In the past few years I’ve realised that the inflammatory foods for me are legumes (lentils and chickpeas), potatoes, sweetcorn and any wheat based food stuffs. Reducing my intake has improved my overall health considerably. Thanks for sharing. I find that it’s such a struggle to pin down exact eczema triggers too. So glad to hear that you’ve narrowed down what you can eliminate to improve your health!